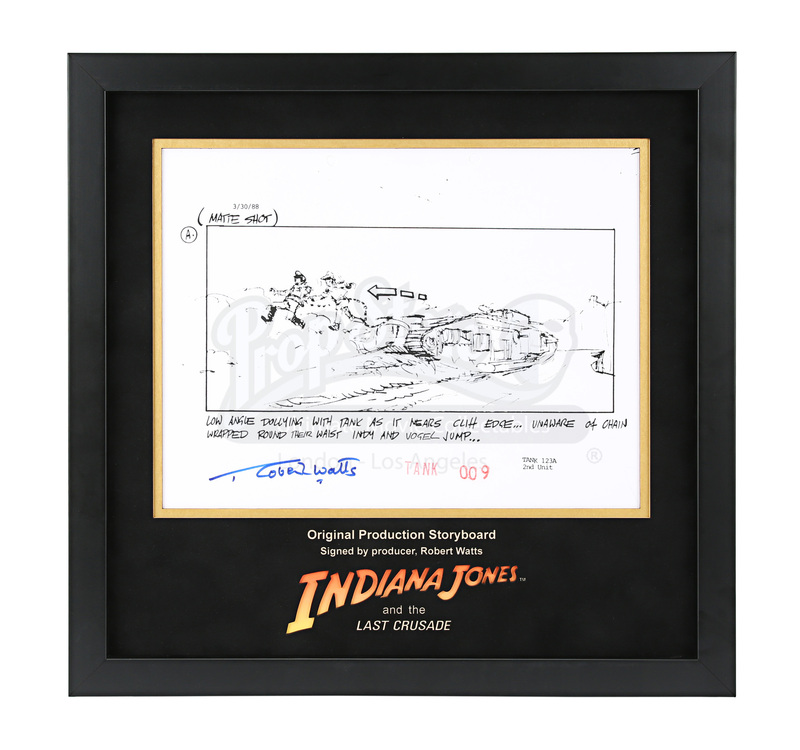 A framed, production-used storyboard signed by producer Robert Watts from Steven Spielberg's 1989 classic adventure film, Indiana Jones & The Last Crusade. It's 1938 and Indiana Jones' (Harrison Ford) father, Henry Jones, Sr. (Sean Connery), has gone missing while on the pursuit of the Holy Grail. Indy finds himself going up against the Nazis once again to stop them from obtaining its power. Pages such as this were integral to the creation of the movie and enabled the team to visualise each shot early on. This illustration shows Indy and Vogel (Michael Byrne) leaping from the tank as it goes over the cliff, but Vogel does not realise that he is chained to the tank. The illustration is accompanied by details about the shot. 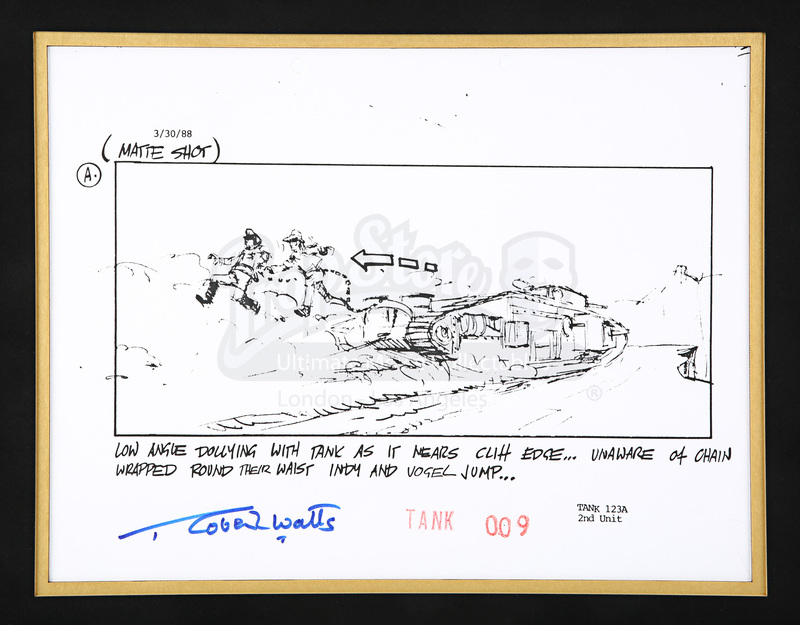 The shot itself does not appear as shown on the storyboard, with Indy instead rolling off the tank before going over the cliff while Vogel goes with the tank. Hole punches at the top show that this page would have been held as part of a sequence. It has been signed by blue marker pen by Robert Watts, who produced the film, as well as Who Framed Roger Rabbit and was an associate producer on the original Star Wars trilogy. The storyboard comes presented in a custom-built display with laser cut mount board featuring the movie title and brief description. It is in excellent condition.